I was expecting a more extravagant two-episode finale, which would include the festival that was supposed to come after the baseball game, but it didn’t happen. Instead, what gave the appearance of “closure” that finales typically ensemble was a focus on Niwa, our romantically indecisive protagonist. Continue Reading "Denpa Onna to Seishun Otoko – 11, 12 (END)"
Self-proclaimed aliens are all the rage. Continue Reading "Denpa Onna to Seishun Otoko – 10"
What in the world is wrong with Niwa Makoto? 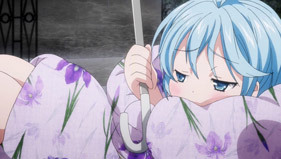 Continue Reading "Denpa Onna to Seishun Otoko – 09"
I suppose it’s clever that this four episode arc was really about Meme, who apparently spent 28 years before coming up with an idea to stop grandma from thinking about the gods taking away her life, an idea which was only triggered by Yamam- Ashiro anyway. Continue Reading "Denpa Onna to Seishun Otoko – 08"
I wouldn’t mind a free bag of rice for a starving student. Continue Reading "Denpa Onna to Seishun Otoko – 07"
Though it doesn’t strike as obvious at first, the bubbly Ryuuko starts to wonder about her feelings towards Niwa, providing the first glimpse of budding romance. Continue Reading "Denpa Onna to Seishun Otoko – 06"
Not as melancholic as I thought. Continue Reading "Denpa Onna to Seishun Otoko – 05"
Continue Reading "Denpa Onna to Seishun Otoko – 04"
So basically, this felt like a three episode prologue to the first “in reality” meeting between Makoto and Erio. Due to her being such an incoherent wall until now, coming to her senses actually did feel like, “oh wow, so she can be normal.” Would this be a moe gap? 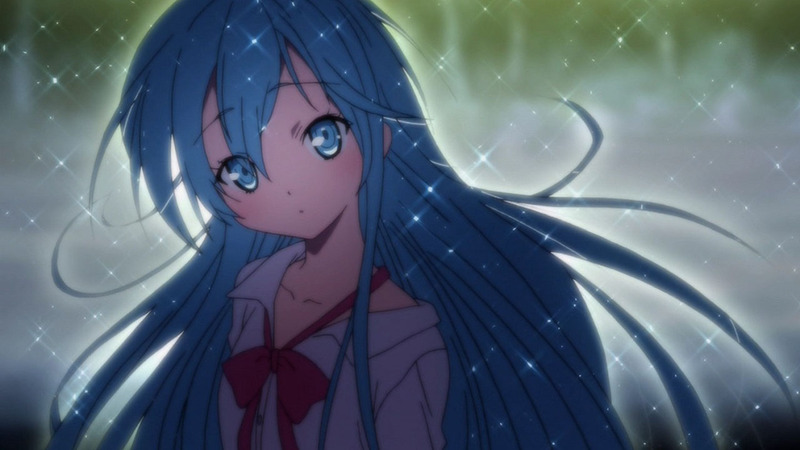 Continue Reading "Denpa Onna to Seishun Otoko – 03"
Continue Reading "Denpa Onna to Seishun Otoko – 02"
I’m not gonna lie, I wanted to watch this because I like Buriki’s designs, and to that end it delivers. The only SHAFT show I’ve even liked was Madoka, and that didn’t even finish, but wow, this show is just entertaining as all hell. Continue Reading "Denpa Onna to Seishun Otoko – 01"